Inspired by the #MeToo and Time's Up movements that have swept Hollywood, actor Brendan Fraser has gone public with his own story of alleged sexual assault. In a new interview with GQ magazine, the "Mummy" actor claimed that former Hollywood Foreign Press president Philip Berk groped him at an HFPA luncheon at the Beverly Hills Hotel in 2003. Though Fraser said he was able to remove Berk's hand from his backside, the incident terrified him. “I felt ill. I felt like a little kid. I felt like there was a ball in my throat. I thought I was going to cry," he said, adding that he told his then-wife about the incident. "I felt like someone had thrown invisible paint on me." Berk told GQ that Fraser's allegation is "a total fabrication." He confirmed his statement to GQ to ABC News. 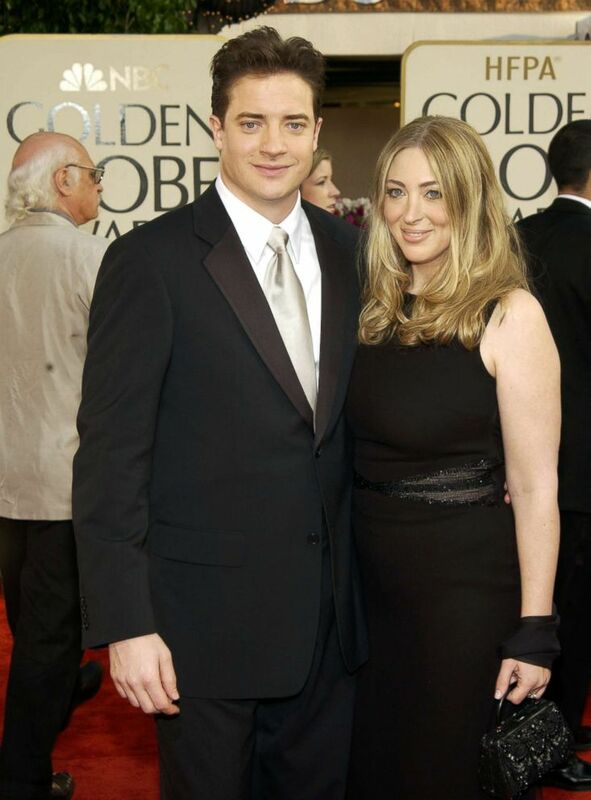 Brendan Fraser and Afton Smith arrive for the 60th annual Golden Globe awards at the Beverly Hilton Hotel, Jan. 19, 2003, in Beverly Hills, Calif.
Fraser, 49, told GQ that he considered going public with his story shortly after it happened, but ultimately decided not to because "I didn't want to contend with how that made me feel or it becoming part of my narrative." However, at the time his representatives asked the HFPA for a written apology, which Berk told GQ he wrote. “My apology admitted no wrongdoing, the usual 'If I've done anything that upset Mr. Fraser, it was not intended and I apologize,'" he said. Fraser also said that the HFPA promised that he'd never have to be alone with Berk again, which Berk denied to GQ. The actor also wondered whether the organization blacklisted him after the incident, noting that its silence after the fact "was deafening." Berk told GQ that the organization did not take action against Fraser. “His career declined through no fault of ours," Berk said. Now, Fraser, who is currently acting in the FX series "Trust," admitted that he still feels a number of emotions surrounding the incident, but he's glad he's spoken out.